Apparently endangering other road users’ lives is ok for this moron. Speeding on the highway is never a good idea, filming yourself while doing it on YouTube Live is even dumber. Yet according to a report from Fox News, Beau Alan Rogel did exactly that on a highway outside Jackson, Mississippi just the other day. 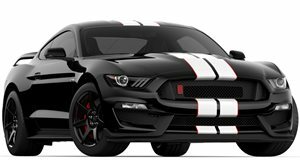 He filmed himself driving his 526-horsepower 2017 Ford Mustang Shelby GT350 down the highway at night calling out the speeds he was achieving as he shifted through the gears. He didn’t show what the speedometer was indicating but you can clearly hear the car accelerating to the redline in each gear and see it speed past slower moving traffic. Streaming the video on YouTube Live, one concerned viewer called the police who actually apprehended Rogel as he was slowing down. After checking his license the police query why he is still videoing their interacting to which Rogel responds, "I get paid to be on YouTube.” Despite his arrogance the cops eventually let him go and tell him to either park the car or head out to a dragstrip if he wants to drive fast. Thankfully, Rogel did not get away with his dumb stunt and after the police reviewed the video and some social media posts, they obtained a search warrant and arrested him. Rogel was charged with reckless driving and possession of a firearm by a convicted felon and released on a $20,000 bond. Police said that the case is now before a grand jury, let’s hope that justice is served and he isn’t allowed back on the roads again.